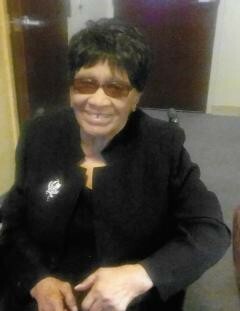 Obituary for Mrs. Cletherine Melton | William Toney's Funeral Home Inc.
Mrs. Cletherine B. Melton, age 97 of Nashville, departed this earthly life on Saturday, January 26, 2018. Funeral services will be held at 1:00PM on Thursday at the St. Hope Baptist Church in Spring Hope. Burial will follow in the Church Cemetery. Visitation will be held on Wednesday from 3-7PM at William Toney's Funeral Home, 516 S. Poplar Street in Spring Hope. She is survived by: one sister, Tyree Rice of Montclair, NJ; two sisters-in-law, Rethella Boothe of Rocky Mount and Elmer Thomas of Charlotte; two brothers-in-law, James O. Pridgeon of West Orange, NJ and Bennie Melton of Long Beach, CA; several nieces and nephews, other relatives and friends.